With Disney’s buyout of 21st Century Fox assets now official, the public is now either apprehensive about the prospect of a Disney monopoly, or very excited for X-Men, the Fantastic Four and Deadpool to come under the wings of Marvel Studios. But with the profane and violent merc with a mouth Deadpool not exactly fitting into the family-friendly house of Mickey Mouse, fans were worried that that mouth might be sewn shut (again). Disney CEO Bob Iger told investors in a call (per THR) that there is no need to worry. 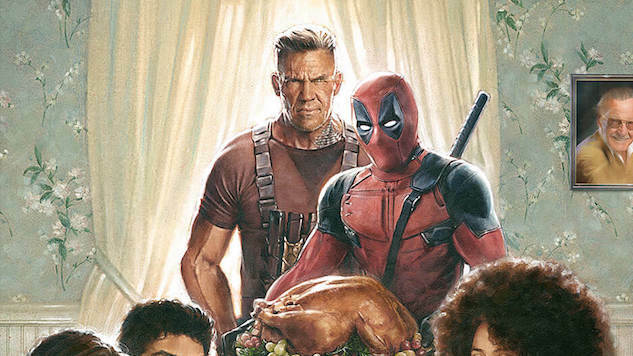 The first Deadpool movie (and Logan to a lesser extent) were milestones, being some of the top-grossing R-rated films of all time, especially coming from the usually PG-13 comic book movie genre. So while we may get an R-rated Deadpool from Marvel Studios (or a newly minted “mature” brand they create) one day, don’t expect the Disney logo slapped on the front. Star Ryan Reynolds, always the jokester, made humorous tweets both before and after the merger was made official. Deadpool 2 (or The Untitled Deadpool Sequel, as Fox’s website titles it) will release on June 1, 2018. Check out the Bob Ross-inspired trailer here.